Tsinelas Festival is a parade of floats decorated with regular to gigantic slippers. Tsinelas is a footwear which is easy to put on and take off. These are type of open-toed sandals that is usually worn as a form of casual wear. In Philippines, Tsinelas is considered a necessity by most people regardless of their social and economic class. Traditionally, these slippers are made from abaca but nowadays, most of them are made out of rubber. 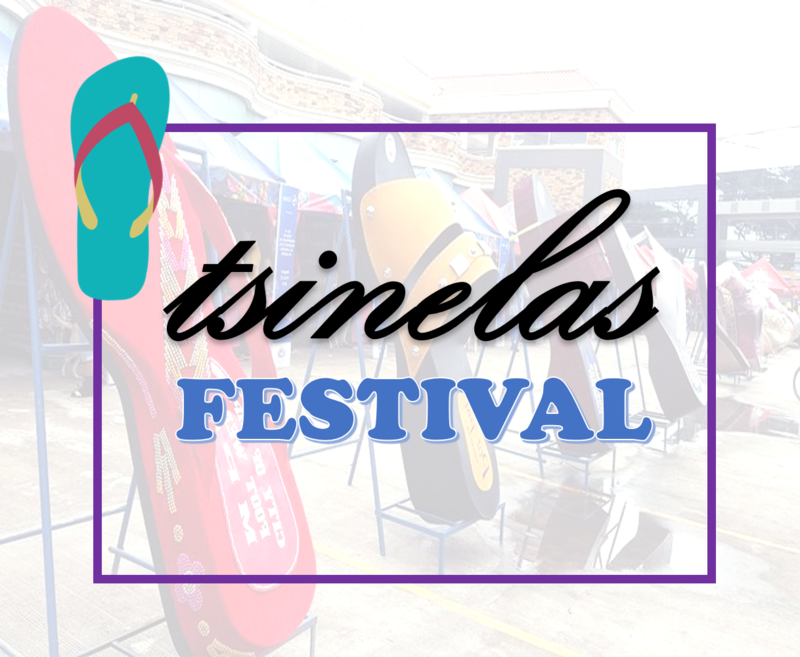 Tsinelas festival is being held to show the importance of tsinelas. Locals dance in the streets of Gapan, Nueva Ecija to promote the city’s footwear industry. The city celebrates their major industry with the Tsinelas Festival on the anniversary of their city-hood. The festival began in 2002 just after the year when Gapan, which is the oldest town in Nueva Ecija was declared a city in August 25, 2001. A street dancing competition that are composed of students from different barangays join the festival. The anticipating float parade that carries giant slippers would then follow. After the parade, the gigantic slippers will be displayed at the city hall of Gapan. The city is just one of the few places that give time to commemorate the importance of tsinelas especially that it provides a great industry for the city and it gives them something to be proud of. Stores of slippers can be seen in the city plaza a week before the day of the Tsinelas Festival. Different kinds of slippers will be displayed that would give the locals a lot of options to choose from with prices ranging from fifty pesos up to two hundred pesos. Booths stretching from one end of the block to the other are open until midnight. Gapan City has successfully promoted its Tsinelas Festival since there are already numbers of tourists who want to witness those beautifully made giant slippers. One of the the participants of the festival spent Php3000 for the materials and that it took him three days to finish his winning entry. His expenses were even smaller compared to the other contestants, who spent an average amount of Php5000. In the year 2012, fifteen giant slippers that is seven-feet tall joined the competition for the title and the cash prize of Php20,000. Gapan City is the oldest town in the province of Nueva Ecija. It has been dubbed as the Footwear Capital of the North. To get to Gapan City from Manila, several bus lines travel to Cabanatuan City on a daily basis. Most of these buses are located in Caloocan, Pasay and in Cubao, Quezon City. Buses like Five Star, Baliwag Transit, and ES Transport are bound for Cabanatuan City and will pass through Bulacan. Right after the town of San Miguel Bulacan is Gapan City. It usually takes three to four hours travel to the city of Gapan depending on the traffic.